Chenopodium glaucum is an annual, C3 herb (Jacobs 2001), 10-40 cm tall, branched from base, stems whitish-mealy. Leaves alternate, lower leafstalks much longer than blades, upper leaf stalks much shorter; blade oblong to egg-shaped, 1-4 cm long, base wedge-shaped, green above, whitish-mealy below, entire to pinnately blunt toothed with 2-4 teeth per side. 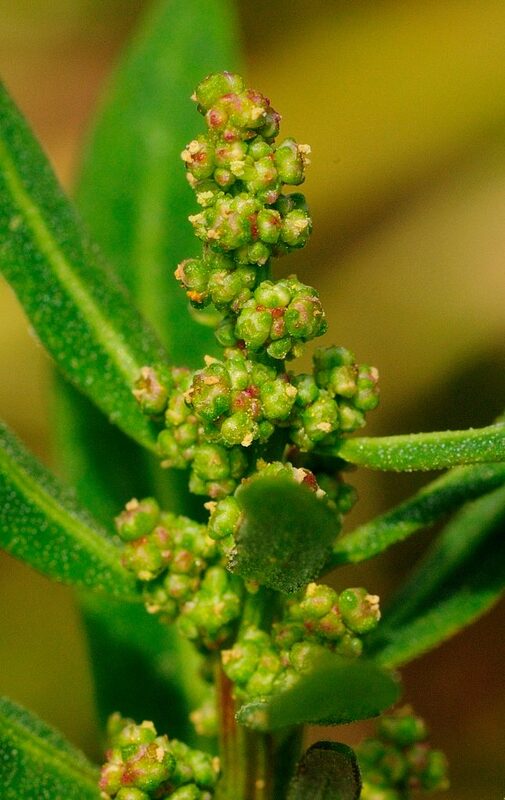 Chenopodium glaucum flowers. © Lliam Rooney 2012. 26b2. Creative Commons Licence. © www.floralimages.co.uk (Accessed 1/2018). Flowers minute, calyx 3-lobed, occasionally 4-lobed; inflorescence of short, dense spikes, not longer than leaves, also in a branched terminal cluster. 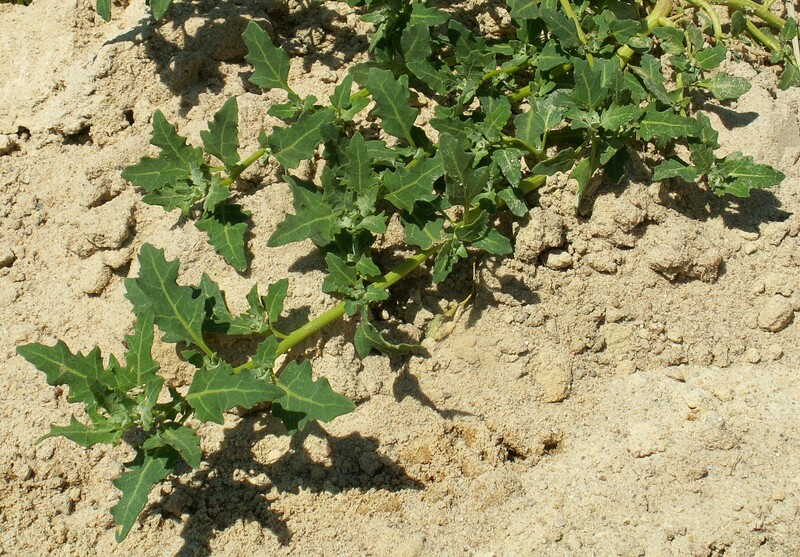 Fruit dry, 1-seeded, partially enclosed by persistent sepals; seeds shiny, to 0.1 cm, blooms and fruits July-Oct.
Habitat: Moist to wet, open soil.